In various ancient spiritual texts of Hinduism the word ‘Yoni‘ is used to symbolize a form of life or species. As per these holy books there are a total of 8.4 million different kinds of species that have been created by god with the human form being one of them. A human yoni is obtained on the basis of good karma before which he has to take birth as a member of another yoni (for example, insect, fish, deer, monkey, etc). Human society however is among the few species where there is further classification among its members based on factors such as nationality, race, religion, appearance, wealth etc. Outsiders viewing the entertainment industry will perhaps assume that celebrities who achieve dizzying heights of success, fame and wealth belong to a different species all together. The truth however is that very few people are actually born with a golden spoon and even they have to undergo different types of challenges during their lifetime. This feature takes a look at a collection of unbelievable celebrity facts that you probably didn’t known about your favorite Hollywood stars. Some of them will make you appreciate the odds against which they had to fight through to make it to where they are today. 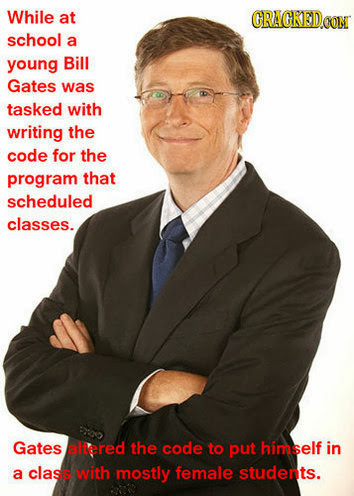 Others will probably add to your trivia quotient and the rest might just end up bringing a smile to your face. The 38 year old South African and American actress best known for her work in Prometheus, The Italian Job and Monster was born in Benoni, in the then-Transvaal Province of South Africa, the only child of Gerda and Charles Theron. She had a really tough childhood as her mother legally killed her father when he threatened to kill them in a drunk state. Thereafter she spend most of her late teens and early twenties as a model and actress playing small roles in low budget movies. Her big break came only 1997 with the success of Devil’s Advocate and it wasn’t till her path-breaking, Oscar winning performance in Monster that she truly became a Hollywood diva. 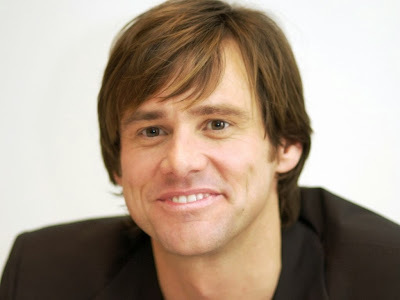 One of the funniest actors in Hollywood known for us excellent comic performances in movies like The Mask, Liar Liar, Dumb and Dumber, Jim Carrey went through a tough time during his mid-teens when his father, a musician lost his job. He along with his parents and three siblings lived out of a van for many years and Jim worked as a janitor in Ontario, Canada to support his family through their hardship. Carey’s abilities as a comedian were known to his family and as soon as their economic hardship ended, he was able to make a name for himself as a stand-up comedian in Toronto. From Toronto, he moved on to Las Vegas and finally set his eyes on Hollywood where he continued to do several low-budget movies before he hit the jackpot in 1994 with Ace Ventura: Pet Detective at the age of 32 years. Among the most good looking couple’s in the world the pair of Brad Pitt and Angelina Jolie didn’t have it so good during the early part of their lives. Brad Pitt spent almost eight years in Hollywood as a struggling artist doing various types of roles on film and television. Infact his first acting job was dressing as a chicken and handing out flyers for the restaurant El Pollo Loco. The turning point in his life only came after 1994 when he started working in films like Interview with the Vampire, Legends of the Fall and Seven. His current partner rated as being among the most desirable women in the world, wasn’t all that stunning since her early days. Angelina Jolie, who came from a privileged background and attended a really upscale school in Beverly Hills suffered episodes of suicidal depression throughout her teens and early twenties. Bullied and targeted by other students at the school for being too thin, wearing glasses and braces, she found it difficult to emotionally connect with other people. By age 20 she was a proper punk with tattoos and had tried every possible kind of drug. Success came to her at the age of 22 with break-through performance in movies like George Wallace and Gia. The gorgeous Canadian pop-star who was a rage around the world with her pop, rock infused country music in the mid 1990s and later in 2002 had an extremely difficult childhood. Her mother divorced from her birth father and re-married when she was two years old. Her parents earned little and there was often a shortage of food in the household. Shania started singing at bars at the age of eight to try to make ends meet, often earning twenty dollars between midnight and one in the morning performing for remaining customers after the bar had finished serving. At the age of 22, Shania’s parents passed away in a road accident and she took responsibility to take care of all her younger siblings through her performances. It was only in the mid 1990s when her siblings became more independent that she was able to concentrate on her music and record complete albums which later went to bring her a lot of fame and wealth. Natalie Portman was born in Jerusalem, Israel. She has a degree in ballet, modern dance and performing arts. She also holds a degree in psychology from Harvard and was a guest lecturer at a Columbia University course in terrorism and counterterrorism, where she spoke about her film V for Vendetta. She has also co-authored research papers in leading scientific journals. Are there any other unbelievable celebrity facts about your favorite Hollywood stars that you are aware about? If yes, then do share them with us by leaving a comment.